Kick, save and a beauty! 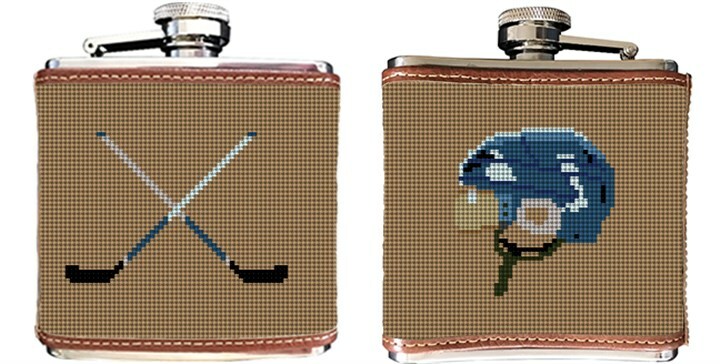 Whether you're a goalie, play offense, defense, or just enjoy a hockey game from the comfort of your own living room; you will be sure to enjoy our Hockey needlepoint flask. This also makes a great and unique gift idea.